The weather for the past week or so has resembled the gloomy days you would expect in January although the temperature is no where near as cold! With so much rain and fog I finally got to pull out some of my favorite fall and winter shoes for the occasion…my bean boots! 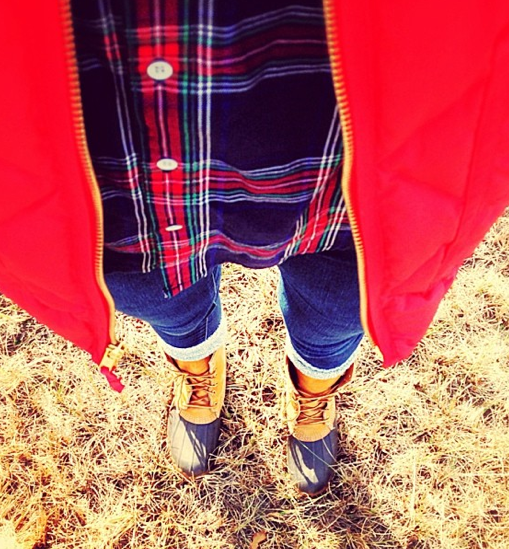 I have had pairs of Bean Boots ever since I can remember and before I knew they were popular and had a specific name we always referred to them as farm boots since we predominantly wore them at my grandparent's house which we call the farm. Up until senior year of high school I had only ever had the ones without laces (probably made my parent's lives a lot easier) and then I was given lace up ones that my aunt had when she was in college. 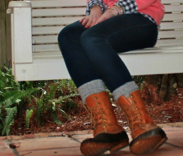 These boots hold up so well and are a classic so you wouldn't know that they have been around for a while. 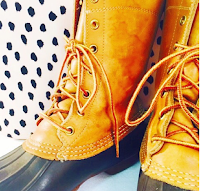 I could rave on and on about Bean Boots but if I shared all of the reasons I loved them with you then there is no doubt that they would be sold out for the season on L.L. Bean's website since they are always a hot selling commodity. 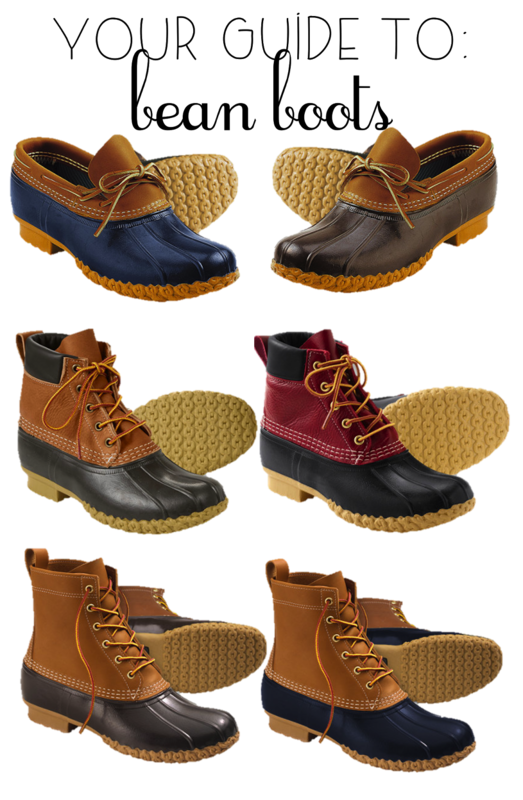 Duck boots are made by hand in Maine which describes why the company can't suddenly demand more boots immediately when they sell out. 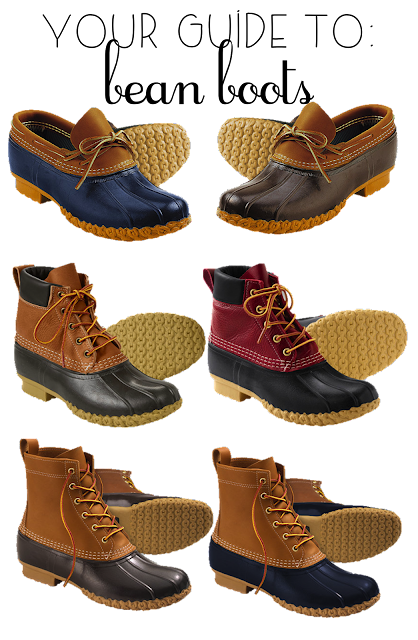 Seriously though, it never fails that right when you feel like you can finally start to wear your Bean Boots consistently the website sells out. This is why I am encouraging any of you even contemplating purchasing these shoes to go ahead and do so to ensure that you'll be able to snag a pair. Want them for Christmas? Make some sort of deal with your parents so that they go ahead and order them otherwise you may not have any wrapped up under the tree. For reference, I have a pair of 8'' tan/brown lace up ones and 6'' ones with no laces that don't seem to be sold anymore (similar to these minus the buckle). I definitely gravitate more towards the lace up ones which are perfect for rain, snow, and even just cold days when you want to wear extra thick socks! 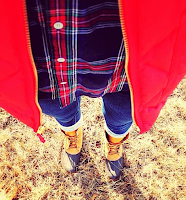 You can even get the boots with thinsulate or shearling lining if you live somewhere especially cold! Another fall and winter essential for me that is great to go ahead and have is my Barbour jacket! 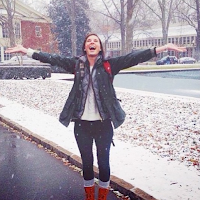 I have the Barbour Beadnell Jacket in the color Sage and wear it nearly every day when the weather gets cold. When I was in London this summer I even got the Betty vest which is a fleece vest that can be tipped into the jacket to make it even warmer. I JUST REALIZED THE EXACT BARBOUR I HAVE IS ON SALE! GET IT QUICK! It's a whole $100 off which NEVER happens! Get it here! 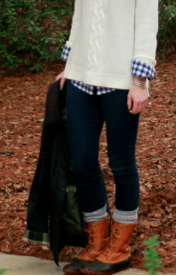 Nordstrom surprisingly has lots of Barbour styles on sale currently, you can shop all of those here! Barbour offers a plethora of colors and styles in their jackets and although they can be a bit of an investment I definitely think they are worth every penny not to mention they are timeless and last for years! If you are between sizes when thinking about purchasing a Barbour I would recommend going up a size since (sad reality right here) later on in life you will more than likely gain weight instead of loose it and a little wiggle room is nice to have! While Barbour is well known for their wax jackets they also make great quilted jackets too! Here are some great options from Barbour! Here are some images of mine from past falls and winters featuring these items! Are either of these your necessities in the fall and winter? It has been so rainy here in North Carolina too! I just bought my Bean Boots this year (over the summer actually since I didn't want them to sell out!) and was able to wear them for the first time this week! 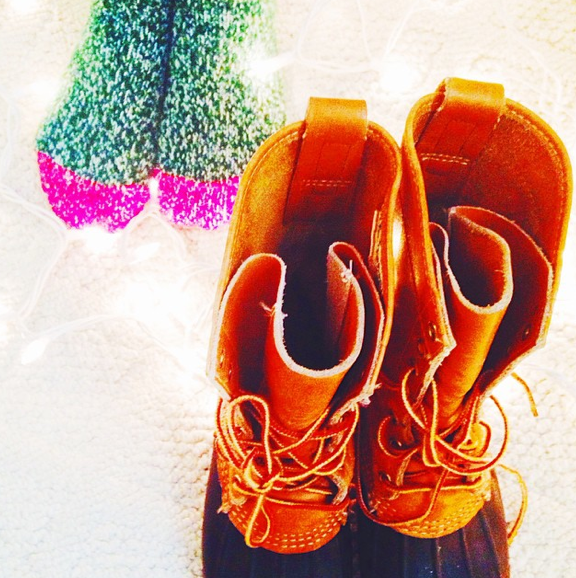 I know they'll be a necessity, especially once the really cold weather sets in!